1. 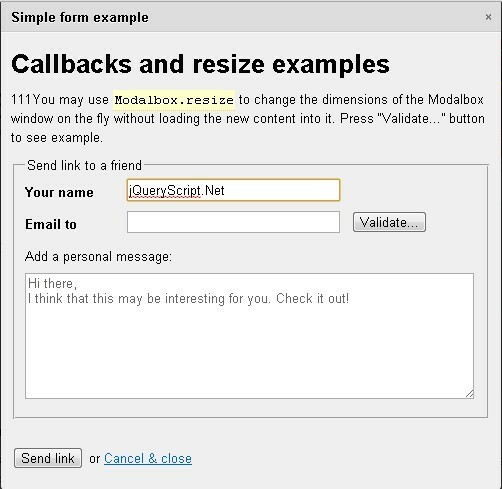 Include the jQuery library and the jBox plugin's script & stylesheet in your document. 2. 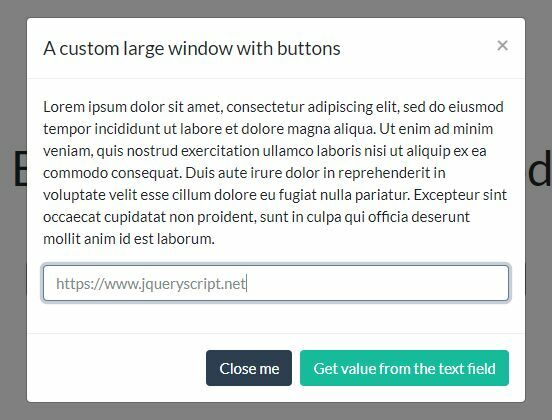 Create a tooltip for an element. 3. Create a default notification. 4. 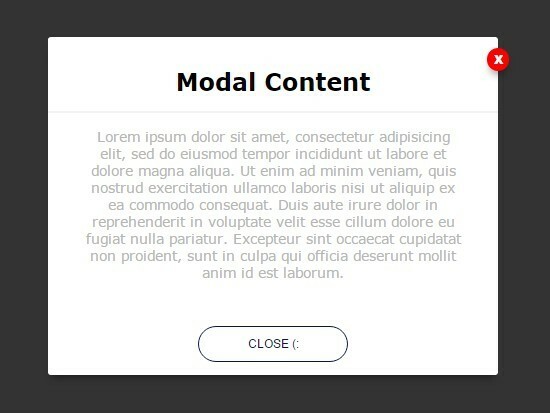 Create a draggable modal window. 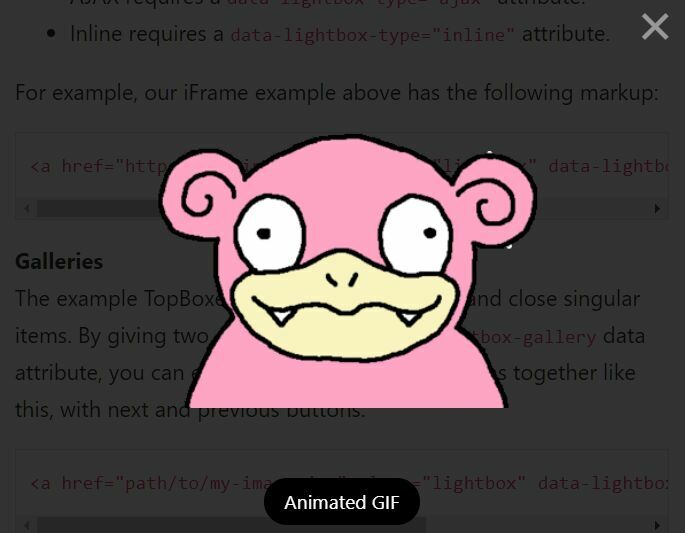 getURL: 'data-url',        // The attribute in the source element where the AJAX request will look for the URL, e.g. data-url="https://ajaxresponse.com"
getData: 'data-ajax',      // The attribute in the source element where the AJAX request will look for the data, e.g. data-ajax="id=82&limit=10"
holdPosition: true,          // Keeps current position if space permits. Applies only to 'Modal' type. 6. Default options for the default plugins. 7. 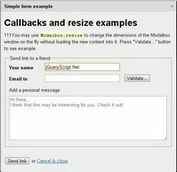 Default options for the notice plugin. 8. Default options for the confirm plugin. 9. 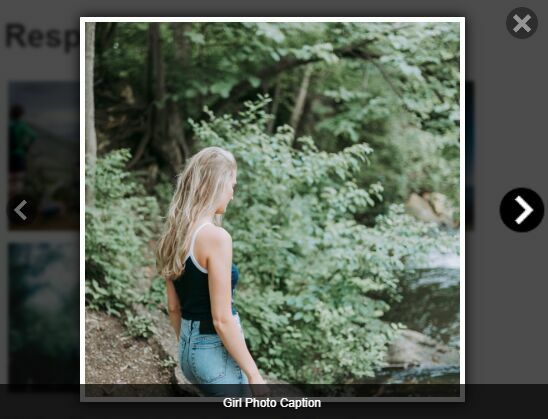 Default options for the image plugin. 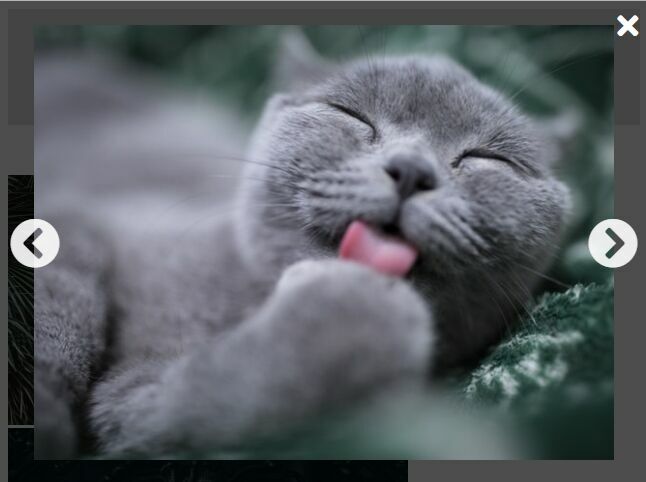 src: 'href',                // The attribute where jBox gets the image source from, e.g. 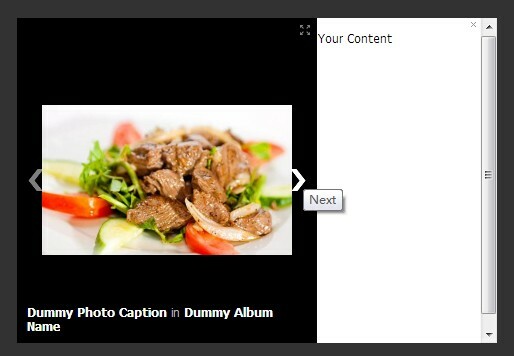 href="/path_to_image/image.jpg"
gallery: 'data-jbox-image', // The attribute to set the galleries, e.g. data-jbox-image="gallery1"
imageLabel: 'title',        // The attribute where jBox gets the image label from, e.g. title="My label"
Added options: delayOnHover and showCountdown mainly targeted at notices, though probably functional for other types too. 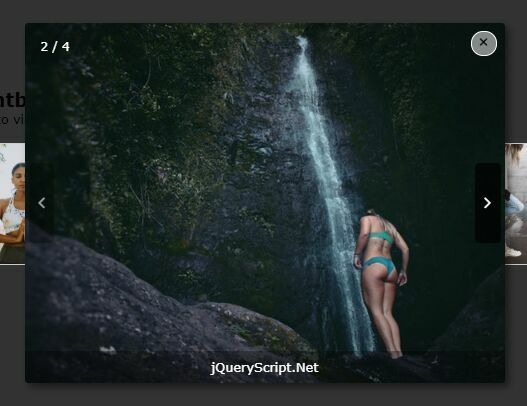 This awesome jQuery plugin is developed by stephanwagner. For more Advanced Usages, please check the demo page or visit the official website.